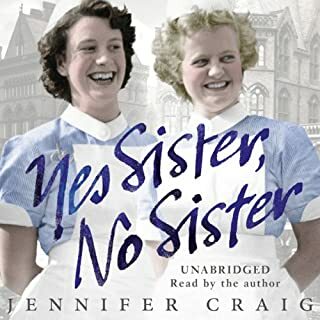 In Jennifer Craig's enchanting memoir, we meet these warm-hearted yet naïve young girls as they get to grips with strict discipline, long hours and bodily fluids. But we also see the camaraderie that develops in evening study sessions, sneaked trips to the cinema and mischievous escapades with the young trainee doctors. The harsh conditions prove too much for some girls, but the opportunity to help her patients in their time of need is too much of a pull for Jenny. James Herriot is one of the most beloved storytellers of our time, a writer whose rich and unique literary gifts are matched by an exuberant gift for celebrating existence. His tales have brought joy to millions, and now the country veterinarian brings us another memorable collection of stories. And don't miss James Herriot's Cat Stories! The world's most beloved veterinarian, James Herriot, brings his storytelling magic to the enchanting world of cats. Also available from Herrriot: Every Living Thing. Mary J. MacLeod's line of work allows her a uniquely intimate window into the lives of the insular rural community she left London for in the 1970s. Gwen Hughes' conversational tone suits MacLeod's frank style and closes the gap to allow each listener to feel as though the nurse is personally sharing her stories on a house call. 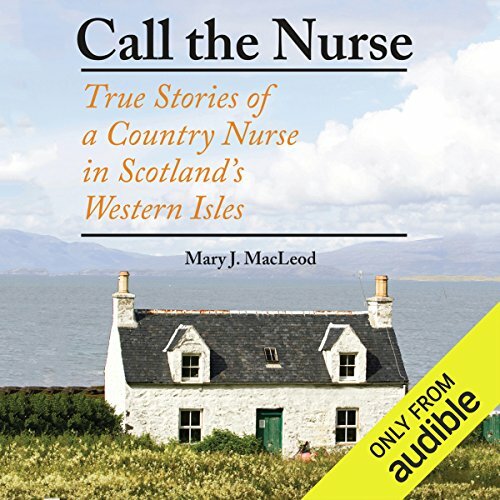 The anecdotes in Call the Nurse range from tragedy to humor but are always handled with the love MacLeod clearly feels toward the island's residents, their foibles, old-fashioned way of life, and the mythically beautiful landscape that left her enchanted. Recalling the classic works by James Herriot and the new British hit Call the Midwife, a nurse’s heartwarming adventures with her family while practicing in rural Scotland. Tired of the pace and noise of life near London and longing for a better place to raise their young children, Mary J. MacLeod and her husband, George, encountered their dream while vacationing on a remote island in the Scottish Hebrides. Enthralled by its windswept beauty, they soon were the proud and startled owners of a near-derelict croft house - a farmer’s stone cottage - on “a small acre” of land. Mary assumed duties as the island’s district nurse. Call the Nurse is her account of the enchanted years she and her family spent there, coming to know its folk as both patients and friends. ©2012, 2013 Mary J. MacLeod. Foreword c. 2013 by Lady Claire Macdonald (P)2013 Audible, Inc. This is a fun, engaging, and often poignant story of a family that moves to a remote Scottish island, renovates a croft and sets out to live a much simpler life. The stories center on quirky island folk and old traditions. This hardy nurse sees it all. Rising to every occasion with tremendous aplomb. However, the narration was an issue for me. The accents were off and varied with a great deal of inconsistency. What was worse was the slow speaking mode the narrator used. I remedied the problem by, for the first time ever, increasing my play back speed. I found that 1.25 speed was perfect and made the reader sound almost normal. I did not want to give up on the story-- so this was a quick fix that made the book tolerable. Narration aside it was a good story and worth the effort. If you enjoyed Call the Midwife, the Irish country Doctor series or even the James Herriot books you might enjoy this visit to the Outer Hebrides. Nice story ruined by terrible narrator. Would you try another book from Mary J. MacLeod and/or Gwen Hughes? What other book might you compare Call the Nurse to and why? It's has a bit of the feel of the James Herriot "All Creatures" series. Would you be willing to try another one of Gwen Hughes’s performances? Was Call the Nurse worth the listening time? It's a tough call. I made it through - but barely. The dialect, pronunciation, and accents were horrendous. I had read previous reviews and thought "How bad can it be?" The accents and character voices were inconsistent and I was shocked that the narrator made no effort to find correct Gaelic pronunciation, making some of the words and phrases un-decipherable. It is dreadful - the narrator does not know how to pronounce many of the place names or even "setee"! Horrid - it should be an English accent. Being a nurse I was looking forward to this story, being a Brit, I was so disappointed with the narration! The cadence was awful, words were incorrectly pronounced & accents fluctuated wildly. I almost gave up listening but a previous listener suggested speeding it up slightly which helped enough to finish it. The stories were wonderful! the pronunciation was okay. for instance, "quay"is pronounced "key". I love books like this, particularly since I am a nurse and I'm Irish. What disappointed you about Call the Nurse? Part of the beauty of listening to stories that take place in the British Isles is hearing the different accents and dialects of the people telling the stories. That is completely lost with the American narrator of this audiobook. What didn’t you like about Gwen Hughes’s performance? Her attempts at English and Scottish accents don't succeed and distract from the story. 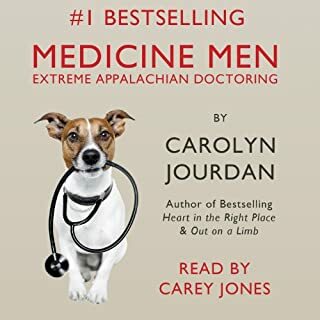 Wish I hadn't bought this audiobook. Can't continue listening to this narration. Will purchase kindle edition. The narrator butchers the beautiful accents of the Hebrides and all of the British accents in general. I've been there. This is so bad it detracts from the story. What was one of the most memorable moments of Call the Nurse? The story draws you in. The narrator pushes you out! Only if set in North America. Do you think Call the Nurse needs a follow-up book? Why or why not? Will let you know. After I read it on Kindle. Should have been done by a British narrator. I bought this book because I was hoping for a bit of a James Herriot experience listening to a nurse recount her life and work on a remote island in the Hebrides. The actual book did not disappoint. No, Mary MacLeod is no James Herriot. But I still enjoyed her words. What I didn't enjoy, however, was the person who read them. Gwen Hughes, I'm sure, is a nice person. She's probably kind to animals and would never take candy from a baby (unless it were choking on it). But my goodness, who decided she should narrate this book? 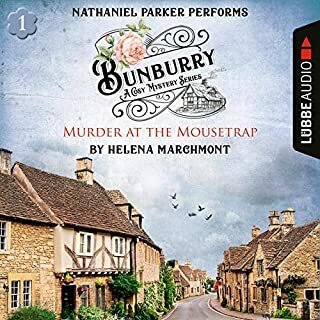 One of the great joys of listening to the Herriot books was hearing his words come to life through the voice of the narrator (Christopher Timothy in all but the first one). Hearing him voice the characters—especially those who spoke in the Yorkshire dialect—would've made even a bad book good. But Ms Hughes? She starts out with a perfectly normal American accent (already not appropriate for the book) and then quickly does a poor American imitation of a generic Scottish accent, before returning to her narration voice which was suddenly a poor imitation of a southern British accent. This switching back and forth continued throughout the recording. I have nothing against Americans. In fact, I am one. I need to hear Americans narrating books set in North America. I even gave a British narrator a low rating recently for how poorly she voiced a principle character in the book she read because he was American and her accent was such a poor caricature. The accents were all wrong (and I mean "all"), and the cadence was horrid. The pronunciation of the Scottish place names varied from page to page, so difficult was it for her to settle on a difficult pronunciation. But most inexplicably of all, she couldn't pronounce certain words at all, such as "settee" (sə'tay), "whilst" (which she pronounced with a short i), and "quay" (which pronounced as it's spelled, as opposed to "key"). 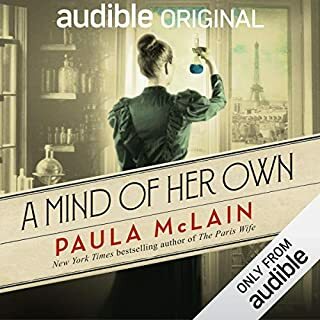 I see that Mary MacLeod has another book on audible, and I'd like to listen to it. But I'll check out the narrator of that one a bit more assiduously. I can't take another Gwen-Hughes-like experience. I love stories of the Hebrides, but was appalled at the mispronunciation of names, words and simple Gaelic phrases. The accents were also inconsistent, unimaginative (by that I mean they were pretty much all the same) and not Scottish! The author obviously has a great affection for the Hebrides—I can’t imagine she heard the narration, or she would have demanded someone else! Definitely not up to Audible standards! It really should be redone. Then everyone would be able to appreciate a very nice selection of tales. I just love the stories. You don't get a memoir about Scottish isles very often! The first time I listened to it, the narrator didn't bother me too much, because the stories are so interesting! The second and third time though, it bothered me more and more. It's not the accent that bothers me, it's more how she reads it - with equal rhythm for every word, which sounds uninteresting and even monotone. She doesn't even sound excited at exciting parts, is she actually reading the book, or just reading words?? It makes the voice of the book sound more stupid, narrow-minded, and overreacting, which I can't stand sometimes. 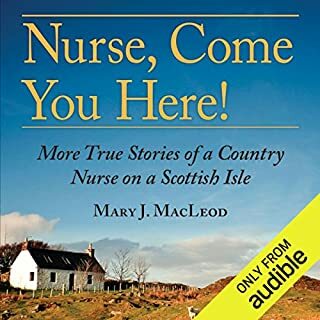 Mary J. MacLeod's second book, Nurse, Come You Here, has a much better narrator. Maybe that's why that book has much higher Performance ratings. Equally interesting as long as the story stays on the island. 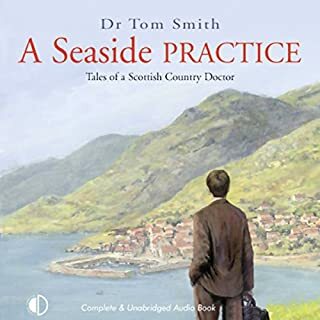 I do wish they make more audiobooks about the Hebrides islands! !